You want me to sum up Cebu Pacific's story in just 1 sentence? This will be an easy one. 57 airplanes and 10,764 identical seats. You definitely know what you get on every flight you are going to take with the second largest airline in the Philippines. Whether you're flying from Manila to Sydney, Cebu to Boracay, or Zamboanga to Tawi-Tawi, your seat will be the same, your food will taste the same. I have been on both, Cebu's Airbus A320 on a round trip to Manila from Beijing, and on it's Airbus A330 from Sydney to Ninoy Aquino International airport. Both trips were identical. If you have ever flown, Air Asia, Ryanair, or Easy Jet, you know what to expect. The fleet is among the youngest in Southeast Asia and has a great safety record. 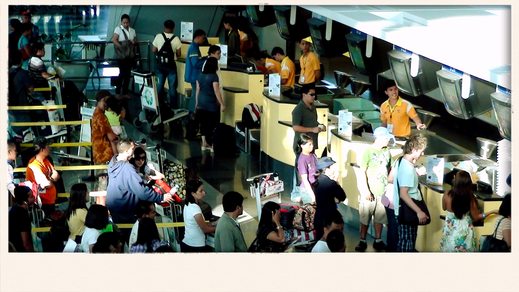 What is Cebu Pacific like? The airline is considered a budget airline, which means cheap fares and a 7kg baggage allowance, everything beyond that, such as checked luggage or food need to be either pre-purchased or paid on the flight. If you include those perks during your online booking you'll be saving a lot of cash. My experience with Cebu was always pleasant. The Crew is friendly, the airplanes are new, up to international standards, and most importantly, their fares are super cheap. I once flew from Sydney to Manila for just a 120 Australian dollars. You certainly can't beat that. I'd say the product is pretty much the same in comparison with Air Asia but definitely more enjoyable than Ryanair. 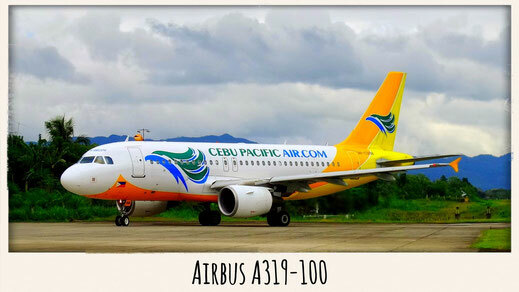 The A319 is the smaller version of the 320' and is currently being prepared to be sold. Only 7 Airbuse 319s are part of the fleet and will most likely be replaced by it's bigger brother the 320. The aircraft has 156 standard economy Seats. 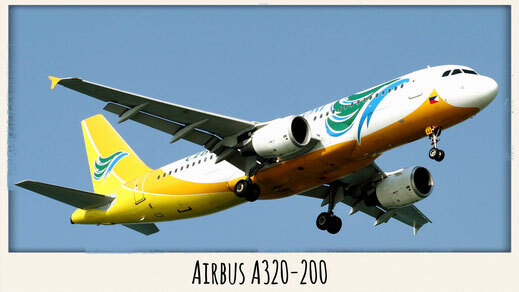 The Airbus A320 is the backbone of Cebu Pacific and comes in a standard configuration with 180 economy class seats. You can purchase food and drinks (including alcoholic beverages) aboard. The best seats are the two rows leading to the emergency exit. 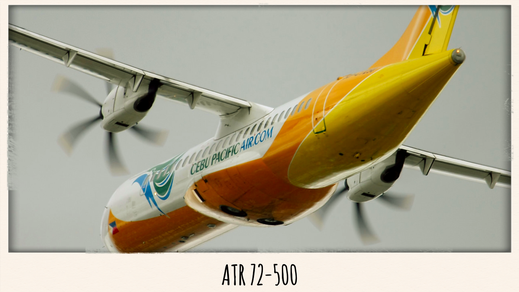 The Turboprop ATR72 is a real Island hopper which can even land on the shortest strips. 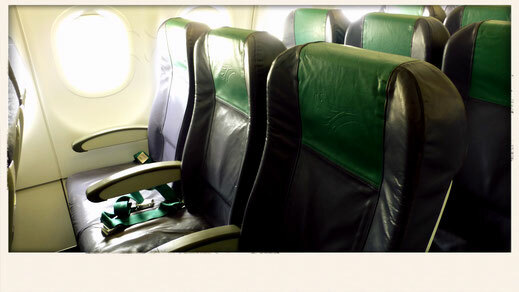 It offers 72 standard economy seats in a 2-2 Configuration. The airplane is mostly operating on domestic flights and will take you to the coolest islands, such a Boracay, Mactan, or Palawan. 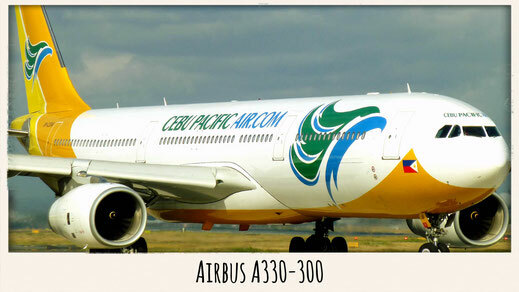 The Airbus A330-300 is the only wide body aircraft within the fleet. It is operating mostly on the intercontinental flights. This specific Airbus comes only with an economy class configuration with 436 seats. Even Air Asia offers a "Business Class" on it's 330's. From Sydney to Manila for $150! If you look at the prices for some international flights you won't find anything as cheap as Cebu Pacific, which sometimes really amazes me. The flight itself is $150 and if you want to add a meal and a bag you'll be looking at around $200, which still beats all other airlines on the same route. Pre-Book to save some cash! 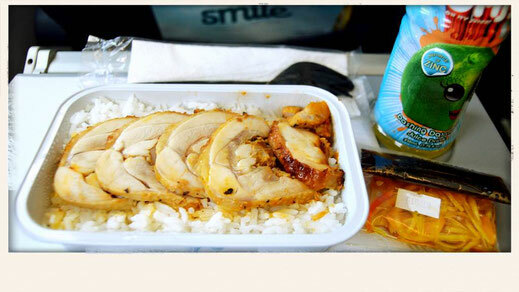 Who doesn't get hungry on 37,000 feet? Right! In order to save some money I recommend you to just pre-book your meal on board so you won't regret it later. Your chicken or beef usually comes with a juice or a water. Manila Ninoy Aquino International Airport is Cebu's main hub and it can literally get very hectic at the check-in counters. Therefore, I recommend to leave for the airport well ahead of your actual departure time to avoid long waiting times or even a missed flight. If you only travel with cabin luggage, print your boarding pass at one of those provided self-check in computers. The worst Airport in the world? It is actually regarded as the worst airport in Asia. Waiting times are long. The traffic is a real bummer. The airport is literally running beyond its capacity and since it's pretty much located within the city, it has very little room to grow or to improve the infrastructure. What I really liked was the efficiency at the security checks and passport control. No long queues. How to get to the city and back to the airport? There is no train or subway connected to Ninoy Aquino, so you either have to take a bus, taxi, or an Uber which I did. It was cheap and reliable, and you won't get scammed. The airport is actually located within the city but due to the bad traffic it can take you up to an hour to reach Makati (considered downtown). Taxi's should cost around 250 Pesos. Make sure you take the Yellow Cabs. Where to buy a Sim Card at the airport? It's always good to stay connected. Right after customs you will find exchange offices, tourist information, and a Smart and Globe stand. These are the 2 main network providers in the Philippines. Both are pretty reliable. I paid 500 pesos for a sim card including 2GB of data which usually lasts for a month. They offer sim cards for all kind of phones and they will help you to swap the cards and set up your phone. You can follow this reddit discussion for more information. Is there Free Wifi at Ninoy Aquino Airport? Guess what? Yes, there is a free connection. You connect, then a phone number is required. It doesn't always seem to be working according to many traveller reviews. However, it's better to get a sim card with data to be on the safe side. Boracay - Still a paradise? You are only allowed 7kg of Carry on? If you want to save yourself a lot of time and perhaps money you shouldn't pack more than 7kg into your carried bag. Before proceeding to passport control and security check, a few ladies will take a closer look to see that you didn't exceed the limit. If so, they will send you back to the baggage drop. If you don't have checked Baggage, Print your Boarding pass. If you only travel with a carry on bag I strongly recommend you to either print your boarding pass prior to leaving the airport or go to one of the self check-in counters at the departure hall to avoid very long waiting times at the terminal. You wanna change the name on your boarding pass? You wanna check in some extra luggage? You have to move your flight to another day? Not a problem! Check out the most frequently asked questions here. 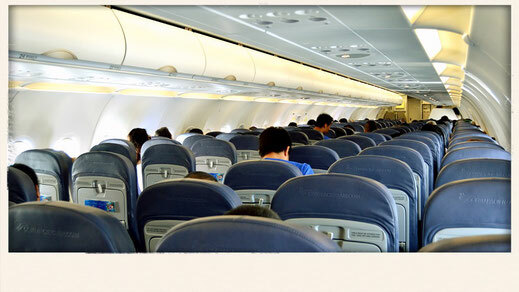 What are the best seats on Cebu Pacific? Always try to get a seat next to an emergency exit for more leg room. On the A320 it's row 14. For the smaller Airbus 319 it is row 10 and 11. If you happen to fly intercontinental on the A330, it's 16 and 36, and for the ATR the first and second row. What time does the Check In Counter closes? For either international or domestic flights, the check-in counter closes 45 minutes prior to departure. If you travel to the Middle East (Kuwait, UAE, or Saudi Arabia, etc) the counters are expected to close 1 hour prior to your departure time. 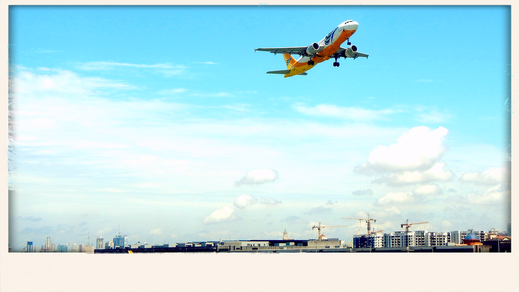 Where does Cebu Pacific Air flies to? Cebu is serving many countries in the Middle East, and has an extensive network in Asia. It also connects Manila both with Australia (Sydney) and the United States (Guam). 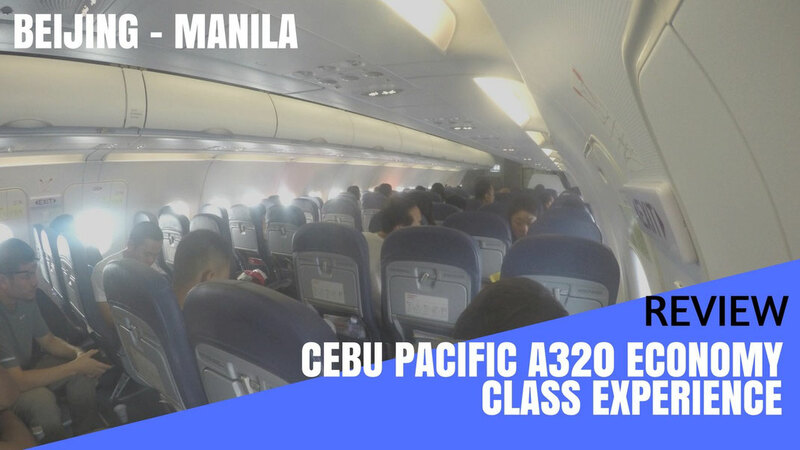 The concept is smart, the airline is uncomplicated, and you certainly will know what you get whenever you book a flight on Cebu Pacific. There are definitely worst low cost carriers out there, such as Easy Jet or Ryanair, where they make you even pay for your boarding pass if they need to print it for you. I would compare it to Air Asia. The only advantage the Malaysian airline has ahead of Cebu is the better and more organised airport. It makes travelling such a more comfortable experience. The Manila based airline has an outstanding safety record and I wouldn't hesitate flying with them again if it wasn't an intercontinental flight. Go and book your flight!